Our mission is to make every teacher a superhero in the teaching of phonics. Our resources give you every online tool you need to achieve reading and spelling success! 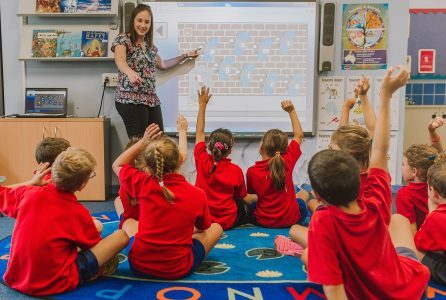 For free use on your interactive whiteboard or a computer, the games use the Synthetic Phonics methodology to cover the sounds, reading, spelling, camera/tricky words and sentences. Boys and girls are equally motivated and I even had one of our most reluctant readers ask if he could use his lunch break to play the Troll Game. Including both ‘supported’ and ‘independent’ Synthetic Phonics worksheets to use as a classroom activity or as homework. I work 1:1 with ‘supported’ sheets, play the associated game and then the child works on the independent sheets so that I can check their understanding. 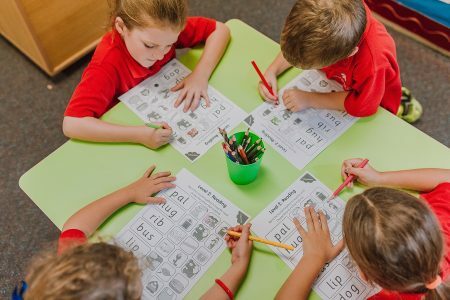 Both pre and post assessments to ensure every child is on target towards successful reading and spelling using Synthetic Phonics. The assessments are incredibly thorough. They’ve saved me hours of pain! With delightful games and a captivating storyline, our Child Accounts motivate children to practise their phonics skills at home too! The 850 step-by-step games are played sequentially, ensuring competency at the basics before moving onto the more complex content. We track every click, giving you in depth teacher reporting and real time assessment data. 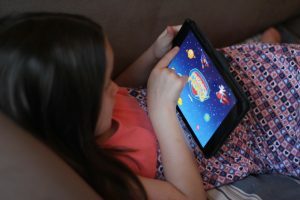 With their own individual login, children can play on an iPad, Android tablet or computer be it at home or school. My students are thoroughly enjoying the opportunity to play the games at home. I must say that this program is making such a difference with my students.